Midcoast Music Academy (MCMA) provides strong opportunities for learners of all ages to learn music and in addition, they support and encourage ‘out of the box’ thinking. 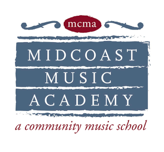 Midcoast Music Academy (MCMA) is a community music school founded in January 2012 and located in downtown Rockland, Maine that provides the highest quality music instruction to students of all ages and skill levels in a fun, relaxed, and creative environment. 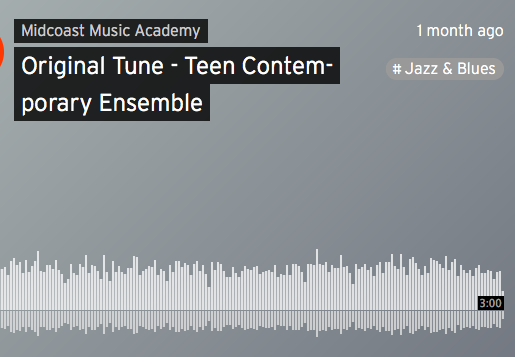 MCMA emphasizes access to music education regardless of financial constraints and combines the fundamentals of music – theory, notation, and ear training – with a contemporary approach to learning. At MCMA, we believe students should learn to play what they love and love what they play. If you have questions please contact Tom Luther and Joe Cough. 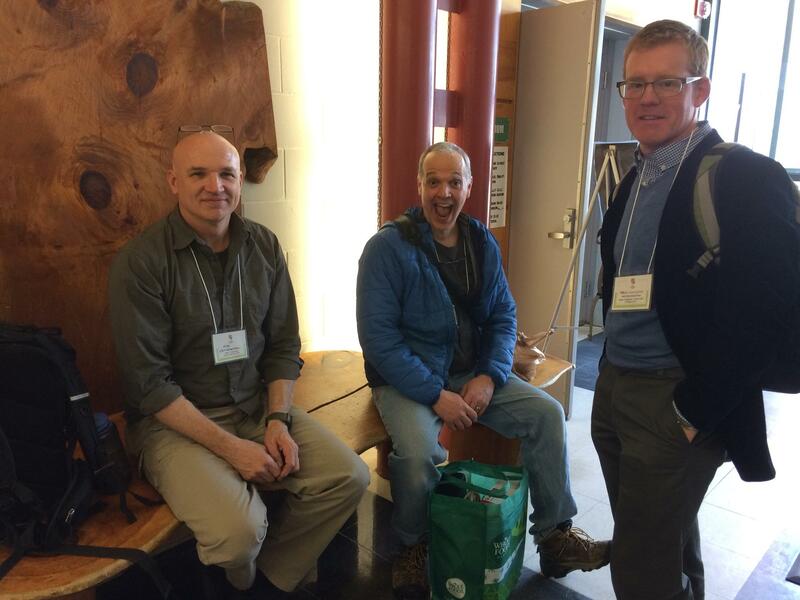 This is one of six blog posts in 2019 that include stories of the Maine Arts Leadership Initiative (MALI) Phase 8 Teacher Leaders and Teaching Artist Leaders. This series includes a set of questions so you can learn a little bit about each leader. CLICK HERE for more information on MALI. CLICK HERE for more information on the 96 Teacher Leaders and 11 Teaching Artist Leaders. CLICK HERE for Arts education resources. CLICK HERE for the MALI Resource Bank. Search in the “search archives” box on the bottom right side of this post for past teacher leader stories. Thank you Kerry for sharing your story! Kerry Constantino began teaching dance to kids right out of college when she graduated college in 2003. Even though she really enjoyed teaching, Kerry felt like she needed more time and experience just creating art. She stepped away from teaching and turned her focus towards developing her technique, studying movement and choreographic theory, and participating in the practice and creation of dance for herself and others. 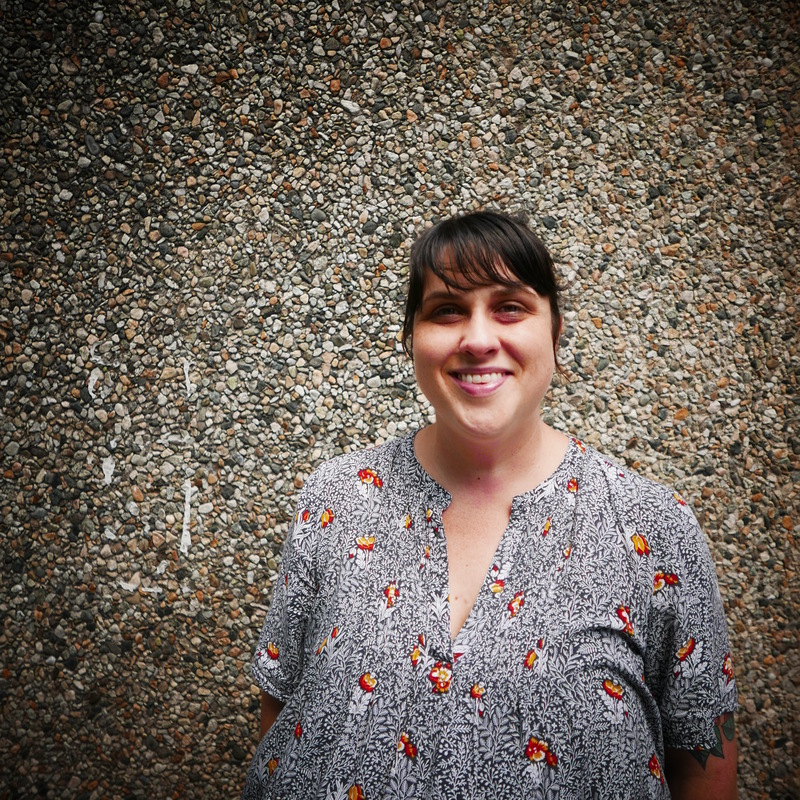 Nearly a decade later, Kerry found herself wanting to teach again, so she applied and was accepted in the San Diego Young Audiences Teaching Artist Training, where she re-learned a lot of things that would prepare her for her role as a teaching artist. And, she loved it! Kerry really feel at home working with all members of the community. Whether through a school residency or at a private studio, she finds that working with dancers of all ages is so satisfying. What do you like best about being a teaching artist? I love being a teaching artist because people, especially young people, are natural dancers. Giving people permission to move, when so often in a school and work setting, we are told to stay sedentary, is one of my greatest joys. I have no idea what would be the key to having a successful arts education, however, I think the thing that stops people from having a successful arts education is a pressure from society that the arts are not valid, or that they are superfluous. The arts give us tools to be creative problem solvers, to think three-dimensionally, and to have the confidence to improvise if we need to. I think all kinds of industries and workplace environments benefit when there are artists at the table. Have you found assessment to be helpful in your classes, workshops and residencies, and if so, how? Assessment is part and parcel to being a teaching artist. Whether I’m teaching 3 year olds or 70 year olds, having tools to assess how my students are understanding me is important. When teaching dance, so much is dependent on being a clear communicator, I want my students to dance articulately, safely, and joyfully. Knowing how much of my information is getting across is accomplished through using assessment throughout class. I have loved my experiences learning with the other educators in the MALI. It has been inspirational to hear their stories and learn from what they are currently practicing in their classrooms. Learning from other teachers and seeing how they organize and strategize their teaching techniques is invaluable. What are you most proud of as an artist and/or a teaching artist? I think what I am most proud of in my art is that I haven’t gotten stuck with just one medium. I began as a dancer, but over the years I have continued to be a voracious learner in many different mediums. I don’t think I will ever be satisfied just practicing and teaching one thing, there is so much more to learn. As I have learned new mediums I’ve incorporated it into my own art and into my teaching as well. Sometimes it feels like I’m a bit of a “Jack of all trades” it’s during those times that I remind myself that if I stop learning new things, then I have stopped growing. What gets in the way of doing a better job as a teaching artist? I think that the biggest challenge for me as a teaching artist is navigating the process of finding residencies. I still feel really new to teaching, so I’m hoping this gets easier the more that I do it. I tend to retreat a bit when it comes to pursuing residencies because I feel like there are other people who are doing what I do, but with more experience and better. I talk myself out of things a lot and I think this is all born out of fear. Everything. I have spent years pushing and finding a way to continue as a dancer and movement artist. Sometimes it feels too hard, like if being a dancer and choreographer is this hard, then I just shouldn’t do it, but for some crazy reason I keep going. Every piece of choreography I have shown, every informal performance, every single time I have made dance and shown it there has been a period during my creative process that has felt impossible. What advice would you give to someone who is thinking about becoming a teaching artist or is just starting out? Go for it! Practice saying what you want to say to your students before you are actually in front of a class. Write down everything. Get a calendar and use it. Don’t worry if you get flustered on the first day and forget your whole lesson plan, you will be ok! There is so much I could do with $500,000. I have always hoped to own a home that would have a dance/art/movement studio in it. Dance requires a lot of open space, so I think that would be a big thing for me, to have a proper studio where I could hold classes and have informal performances in my own home. One of my first dance teachers lived in a huge old victorian house and the “ballroom” was her dance studio. It is definitely a dream of mine to do that. Oh, and more travel, I have terrible wanderlust. If I make it to be 94, I hope that I can see that all of my choices were what made my long beautiful life. I can’t say there would be any regrets at this point. 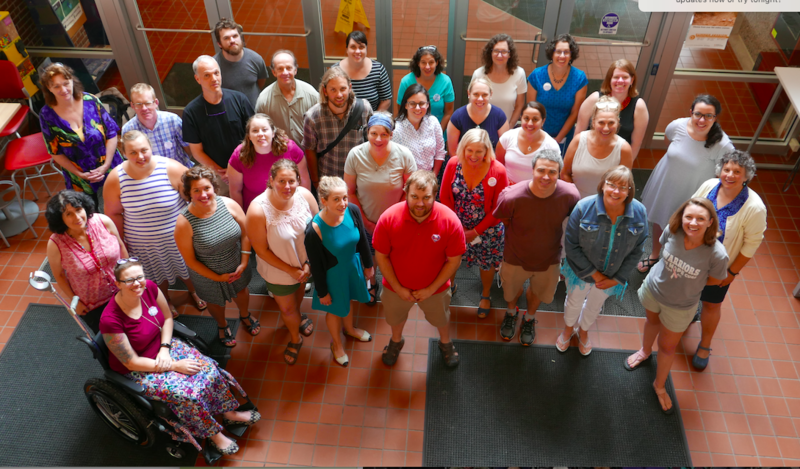 This is one of six blog posts in 2019 that include stories of the Maine Arts Leadership Initiative (MALI) Phase 8 Teacher Leaders and Teaching Artist Leaders. This series includes a set of questions so you can learn a little bit about each leader. CLICK HERE for more information on MALI. CLICK HERE for more information on the 96 Teacher Leaders and 11 Teaching Artist Leaders. CLICK HERE for Arts education resources. CLICK HERE for the MALI Resource Bank. Search in the “search archives” box on the bottom right side of this post for past teacher leader stories. Thank you Shawna for sharing your story! I love all the people I have met as a teaching artist. Doors that have been opened, and opportunities presented. It has provided me the ability to share my passions with others who appreciate it. First, allowing for differential interpretations of a topic. Essentially acknowledging that the world is full of gray. And when it comes to art, the spectrum of how art and its concepts are perceived, truly is a spectrum. Second, the ability to acknowledge that art is a bridge between worlds. Whether that be yours and mine, real and fantasy, or past and future. It allows for difficult conversations to be had, often bridging a divide caused by a lack of understanding. Teaching this concept to our students is vital. Third, the ability to appreciate content, subject matter and skills needed to complete a work of art without having to like the art itself. The ability to see it with an objective eye. 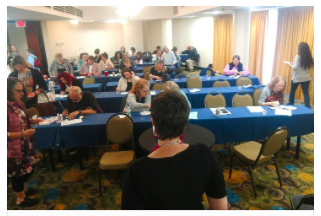 Thus far, assessments have helped guide the evolution of my classes and workshops. By evaluating what is working, what is not; what different ages and abilities respond to; I have been able to fine tune the classes so that the highest number of people fund value and enjoyment from the class. The benefits have been innumerable! It has been the push I needed to create the resource center in my website. I have been given the opportunity to grow my speaking career by giving presentations at conferences. It has sparked collaborations between several members for brand music, for upcoming tutorials, and similar applications. It has introduced me to a group of peers that have become my support network. It has given me the confidence in my own set business that my intuition is right and I am on the right path. I am most proud of breaking barriers and showing others where barriers exist. As a disabled artist, I often chose to just not participate in events and workshops because it was easier. I’m taking my challenges and helping create solutions that benefit not just me… but hopefully generations of disabled learners and artists so that they can have access to creative outlets. My health, admittedly. It can cause me to be unreliable and miss deadlines. Another factor is physical accessibility to facilities that may want to host me for workshops or seminars. Simply being an artist is hard work and requires determination every day to put the work in. I work through a variety of disabilities just to be able to create; myasthenia gravis, cervical dystonia, hypermobility joint syndrome, seizures, chronic pain, peripheral neuropathy and PTSD are the heavy hitters. You will stumble as you find your footing but don’t let that detour you from continuing to put the work in to build the foundation of your career. Don’t be afraid to ask for help. There’s plenty of room for everyone at the top, do not entertain a scarcity mindset. 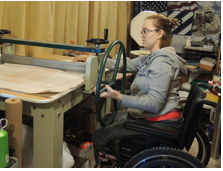 Build my handicap accessible studio. Give a few grants to local artists and arts organizations looking to make their space accessible by adding ramps or stairlifts to their infrastructure. And spend a few weeks in Paris, soaking up all the amazingness that is the Louvre. This post is reprinted with permission from Shawna Barnes’ blog located at THIS LINK. 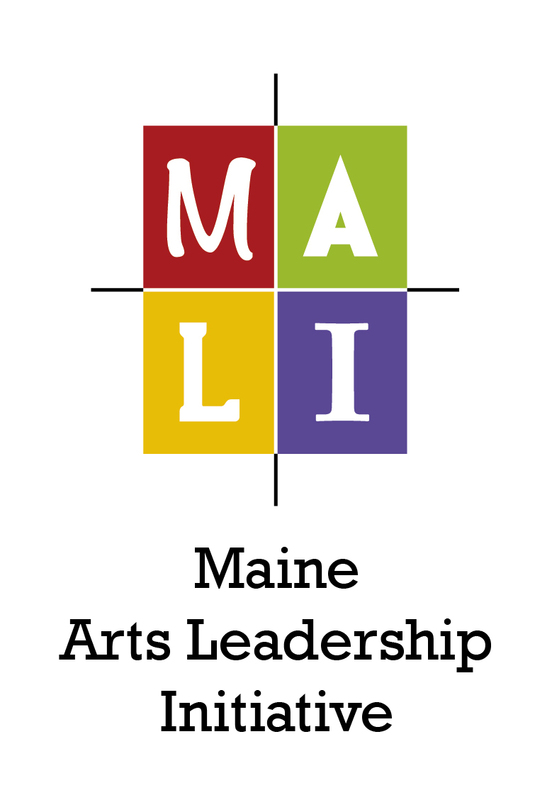 Shawna is a Teaching Artist Leader with the Maine Arts Leadership Initiative (MALi). She is a ceramic sculptor and mixed media artist who loves sharing her passion with others. Shawna is a strong advocate for the arts being accessible to all. She is an Army veteran who served in Operation Iraqi Freedom (OIF 7) from 2009-2010. 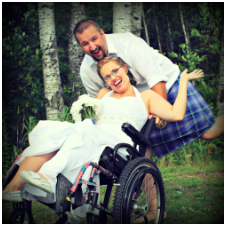 Shawna lives with several disabilities including myasthenia gravis, cervical dystonia, seizures, hypermobility joint syndrome, peripheral neuropathy, and PTSD. Shawna created a survey on arts accessibility which you are invited to complete; access it at THIS LINK. One of the things I talk about a lot is the phrase “arts accessibility” and the fact that I am an advocate for it. In discussions with colleagues and friends, I realized that it isn’t really a clear term. This point was driven home even further when I included the question “What does arts accessibility mean to you” in a survey I shared asking for feedback regarding educators’ struggles with arts accessibility in the classroom/studio. So I figured I’d take some time and provide an overview on all the different possible definitions of arts accessibility and what it means to me. For me, it started when I was exploring different opportunities for artist residencies, workshops, and seminars. As someone with mobility impairments, I always had to ask if the facility was accessible. No…….handicap accessible, not accessible from the highway. One of the things I discovered was that most of the facilities are not friendly or easy to navigate for those of us who have any type of mobility impairment/disability. 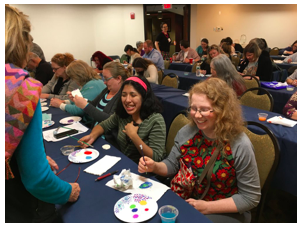 This was a discovery made long before I became a teaching artist leader with the Maine Arts Leadership Initiative; it was then, however, that arts accessibility became my pet project. I was disappointed and downright bummed out about missing out on some amazing learning opportunities because the studio spaces were on the second floor of an old barn with no elevator access… or down several flights of outside stairs down the side of a cliff…or lacking any sort of climate control (air conditioning or heat source). And those barriers were from just a few of the locations I looked at locally. The facilities themselves are spectacular and amazing; drawing high caliber artists and professionals from around the world… This is just one example of what arts accessibility could look like – the most literal definition of the phrase – physical accessibility to a facility. My disabilities are acquired; I was not born with them. As a result, I am acutely aware on all the amazing things I am missing out on as a result. That FOMO (fear of missing out) is real ladies and gentleman, and the sting is one that is ever present. I quietly made it my mission to let the administrators of these facilities know that I was deeply saddened to be missing out because the facilities were not accessible. Some enlightening and hopeful conversations have been had as a result of this dialogue. Another quite literal definition of the term is actually having access to the arts. This includes students having access to art classes at their school, having nearby museums or art studios to attend, local theaters and dance halls, et al. There was a big focus on STEM curriculum, and as a result the creative arts saw a lot of cuts in Prek-12 curriculum. Recently however, administrators, educators, and clinicians are acknowledging the importance art has in youth development. This re-discovery has transitioned STEM curriculum to STEAM with the A standing for the arts. There are still many students who do not have the opportunity to take an art class – either one offered as part of their daily curriculum OR after school activities. This access barrier extends well beyond academic and includes all people who have interest in learning more about a topic in art. Accessibility to the arts could have nothing to do with infrastructure and everything to do with the abilities of the staff. For adults and children with a wide range of developmental disabilities, the physical access definition is less important than having access to teachers who are able to meet them where they’re at. What I mean by that, is that for many in this demographic, teaching/leading them through an art class takes considerable patience and an understanding of how their brain functions. When families find artists/educators who ARE qualified and adept at working with these populations, the financial barrier is then factored in. Finding and hiring experienced artists can be expensive. Investing in custom equipment and tools to allow the student the highest level of engagement in activities can be cost prohibitive. My fifth and final definition for arts accessibility, is one of the psychological variety. It has everything to do with the possible/potential student. The commonly accepted definition/understanding of creativity is that it’s something artists have. If the student feels and truly believes that they just don’t have the skill to create anything worthwhile and thus are defeated before they even try, that is a barrier to access. If it’s one thing I LOVE doing…it’s breaking down this particular barrier to arts access. It is a barrier that anyone can break down and help the student over if the teacher has the right tools in their toolbox. And there ya have it. Those are MY five definitions of what arts accessibility barriers could look like. There’s likely more that I haven’t thought of or come across yet. In future posts, I will break down each definition and explain how I personally work towards overcoming the barrier to access. It’s just as much about breaking down the stigma that only artists can appreciate art and reap benefits from a creative outlet as it is about providing opportunities for people to explore activities they’d never considered. What does “arts accessibility” mean to you? How do you overcome the barriers? How might you use storytelling? 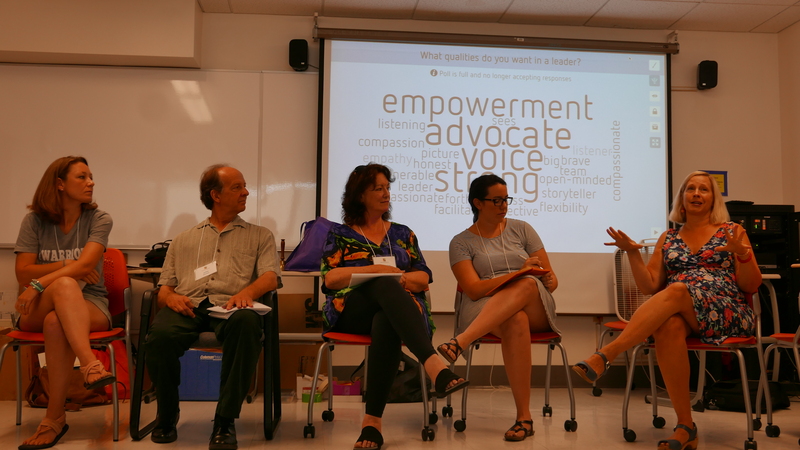 At the Maine Arts Leadership Initiative (MALI) Summer Institute “Storytelling” was the overarching theme. It was interwoven in many aspects of the 3 days. Falmouth High School and MALI Design Team member Jake Sturtevant and Sweetland School founder and director and MALI Design Team member Lindsay Pinchbeck provided a workshop on Storytelling and they set up a Story Corps tent where teachers could visit during the institute and have a conversation, similar to the National Public Broadcasting Story Corps. We listened to musician and MALI Teaching Artist Leader Tom Luther tell his story of the stroke he had almost a year ago. 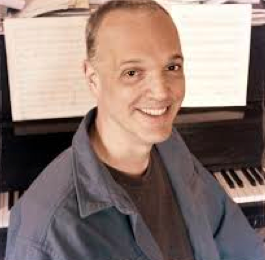 He worked his way back and to almost full recovery using a ‘beginner’s mind’ and his music. 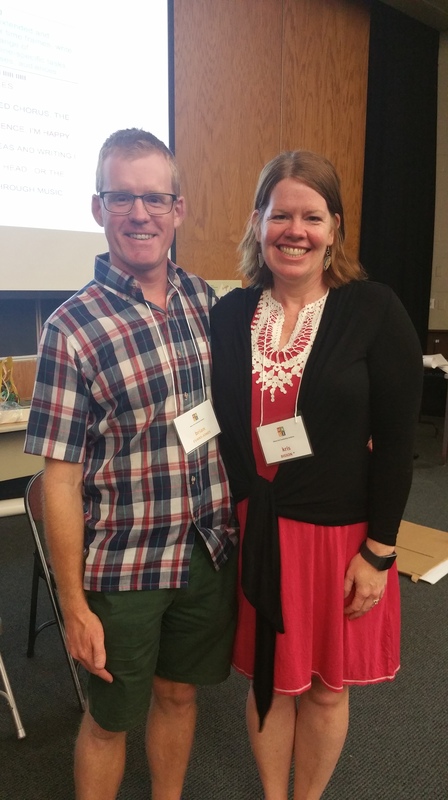 MALI Teaching Artist Leader Brian Evans-Jones and Marshwood Middle School music educator and MALI Teacher Leader Kris Bisson shared their story of their incredible collaboration during the 2017-18 school year where they composed a song about an all but forgotten bridge in South Berwick. 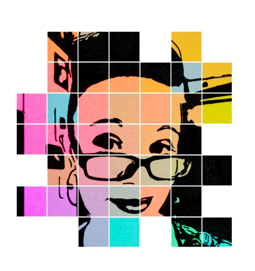 Elementary visual art teacher and MALI Teacher Leader Elise Bothel shared her story and research on self-care tools and how they are enriching her life and positively impacting her teaching. A panel on Leadership included stories from Catherine Ring, co-founder of MALI and art educator, teaching artist and MALI Design Team member John Morris, MALI Teacher Leaders: music from York Middle School Jen Etter, visual art from Brunswick High School Jenni Driscoll, and music from SeDoMoCha school and Maine’s 2018 Teacher of the Year Kaitlin Young. All unique! In a recent edition of the eSchoolNews from NAfME music educator Lori Schwartz Reichi reflects on her college wind ensemble rehearsal when her conductor would pause to tell a story. She wondered why he would take time out of rehearsal to share details of his personal life. Years later when she started teaching it made perfect sense to her. The stories her professor told were intentional ‘pauses’ in the rehearsal. READ the entire article and learn more about the power of storytelling in the music classroom. (Storytelling has potential in any classroom)! 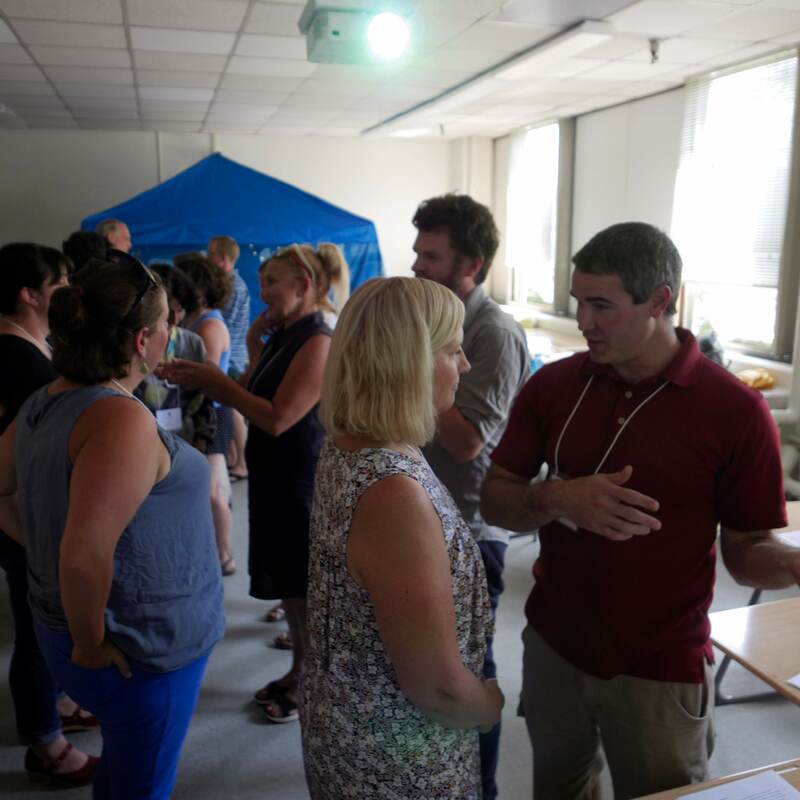 Maine Arts Leadership Initiative participants, teacher leader Kris Bisson and teaching artist leader Brian Evans-Jones have collaborated on a project that will be premiered tomorrow night, June 5 at Marshwood Middle School. 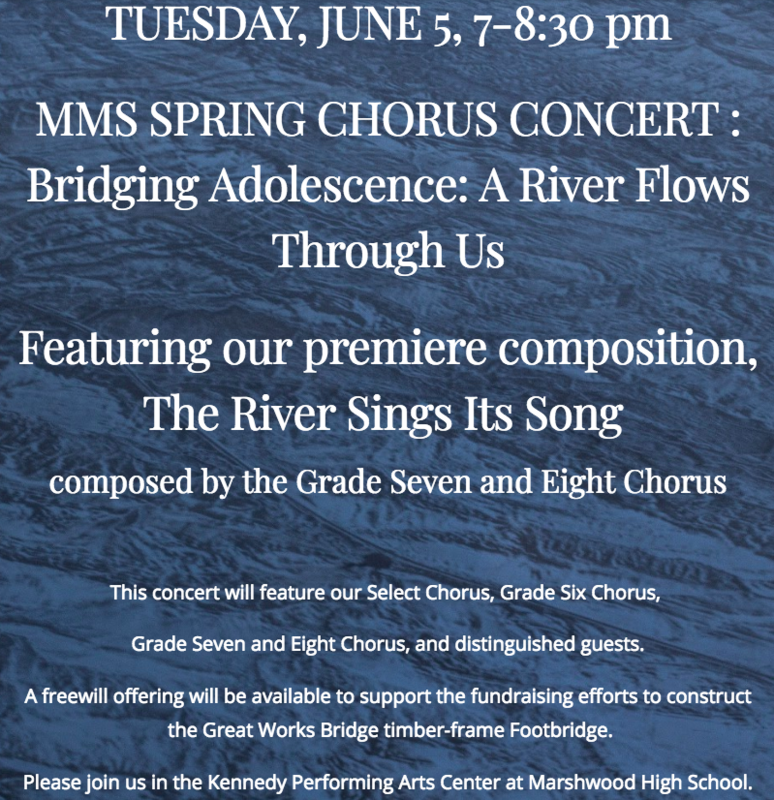 The premiere performance of “The River Sings its Song”, funded by the Marshwood Education Foundation will take place on Tuesday, June 5, from 7:00 – 8:30 p.m.
Marshwood Middle School’s seventy-six member chorus has worked the entire school year to research, discover, and collaborate to create a unique curriculum-based study of our local community through the Great Works River and Bridge in South Berwick, Maine. The students worked with artist-in-residence, Brian Evans-Jones, to create their thoughts and then with their Choral Director, Kristine Bisson, to take their words and compose an original piece of music to be sung by the Grade Seven and Eight Marshwood Middle School Chorus. The students are donating $200.00 from their annual Middle School Talent Show to the Great Works Bridge Brigade to help support the fundraising efforts of the Brigade to build a timber-frame footbridge where the bridge once was accessible. They will be presenting the check to members of the Brigade this Tuesday evening at the concert.